Today ASUS Zenfone Blog will show you How to Downgrade ASUS Zenfone 5 A500CG From Lollipop to KitKat. Copy file UL-ASUS_T00F-TW-5.3.3.3-user.zip to the ZenFone5 internal storage. Remove the USB cable, the device will pops up the system upgrade information. After finished, device will auto reboot and perform factory reset. 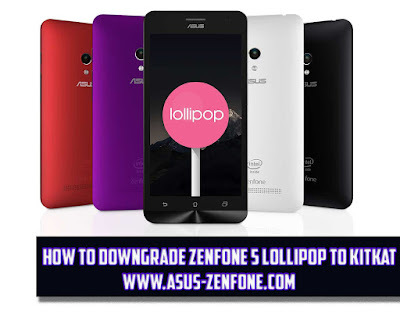 Then copy file UL-ASUS_T00F-TW-5.2.2.2-user to the ZenFone5 internal storage again. After downgraded, device will auto reboot and perform factory reset. 1. Please must to download the UL-ASUS_T00F-TW-5.3.3.3-user.zip/UL-ASUS_T00F-TW-5.2.2.2-user.zip to perform downgrade procedure.